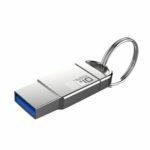 This DM PD068 USB flash drive features compact size, easy and convenient to take anywhere you go. 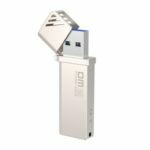 High-speed USB 3.0 interface offers stable and fast data transmission, 64GB capacity allowing you to store your favorite videos, pictures, music and files. Simply plug and play, easy to use. 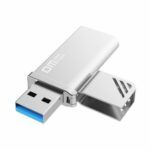 High-speed USB 3.0 interface offers stable and fast data transmission speed up to 5Gbps, which can transfer files in a flash. And the read speed is 100MB/s, write speed is 36.8MB/s, makes your work and study more efficient and comfortable.